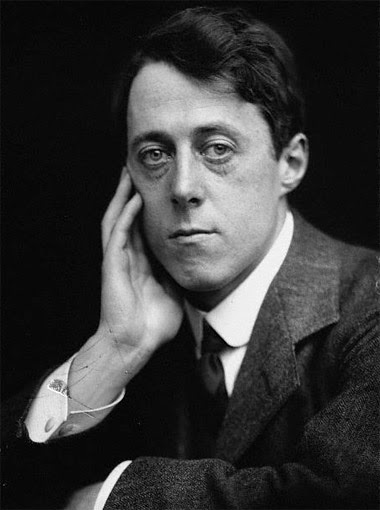 Laurence Binyon was too old to enlist at the start of the First World War, he turned 45 ten days after the war started. Seven weeks after the war started this poem was published as news of the British casualties began to be reported. The war that everyone thought would be over by Christmas went on for another 4 years and claimed the lives of 65 million people. 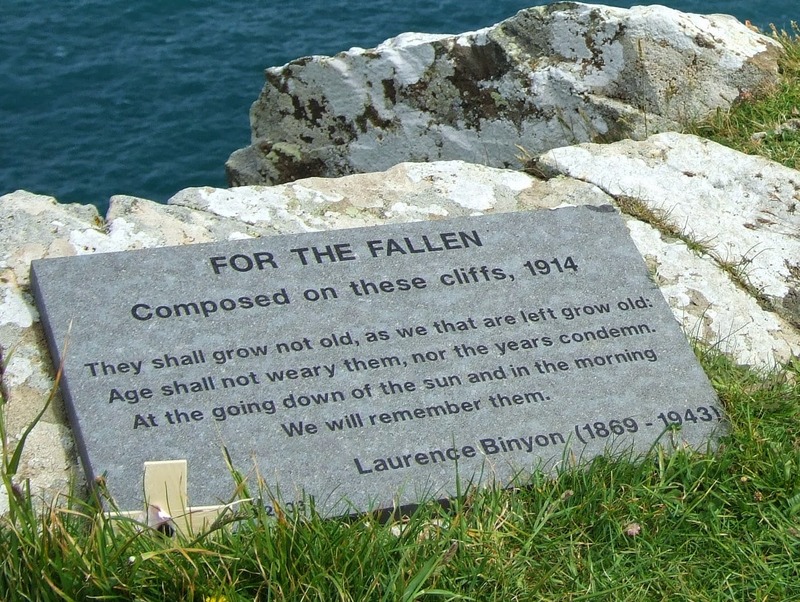 Laurence Binyon was born in 1869, I was born in 1969, so there is 100 years between our births so this year 2014 as we remember the 100 anniversary of the start of World War 1 I am the same age as Laurence Binyon. I would be too old to enlist. I am left thinking would I be disappointed I could go to serve my country or would I be relieved. With hindsight, relieved is all I can think I would have felt, but 1914 was a different time. While Laurence was too old to join the army he did join the Red Cross and served as a medical orderly. I always assumed that this poem was written after the war or at least towards the end of it. I never dreamt it was written right at the start. The horror of trench warfare hadn't really started by September 2014. The battles the British Expeditionary Force had fought in were across open ground and were critical in stopping the German advance. As the front line stretched out from coast to coast the troops dug in and 400 miles of trenches connected the North Sea to the Alps. Another wrong assumption I had was that the poem was written in the trenches. As Laurence never went to war the poem wasn't written there. 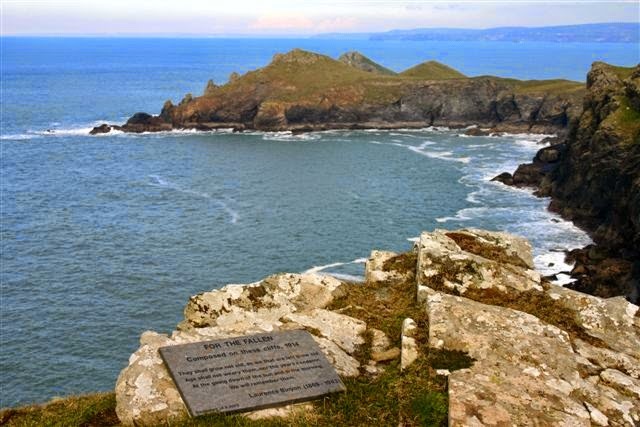 It was as he sat above the cliffs in north Cornwall at Pentire Point, near Polzeath. Such beauty in sharp contrast to the subject.